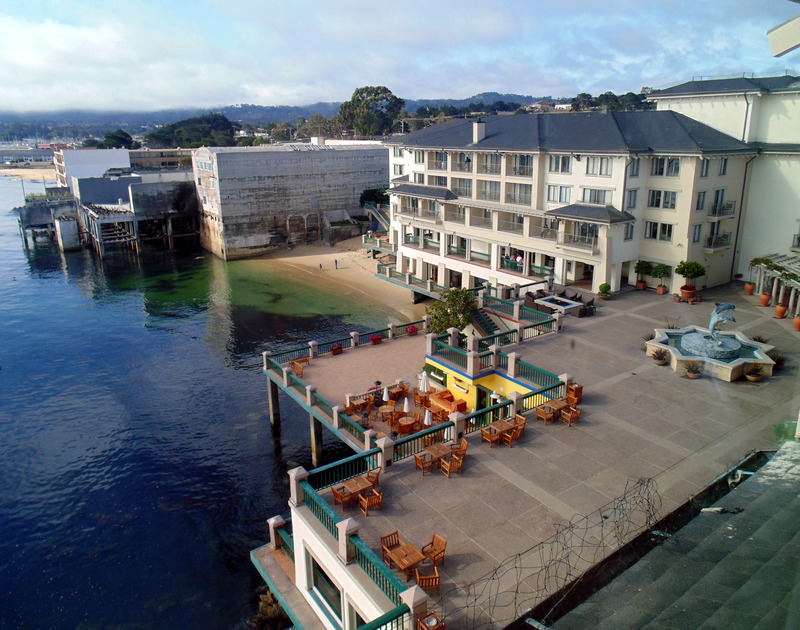 Fine hotel properties �stay calm and carry on� and this is clearly the case with the Monterey Plaza Hotel and Spa, located on historic Canary Row, a short walk from the world renowned Monterey Bay Aquarium. Having visited this hotel property often during the past fifteen years to celebrate �Seafood Watch� at the Aquarium, I am keenly aware of the state-of-the-art upgrades and constant improvements being implemented to insure guests the best experience possible. The Caf� on the lower plaza is a colorful addition where guests can enjoy breakfast while watching the fascinating sea life activity in the water below, or the colorful and entertaining daily kayak classes. The inviting Fire Pit on the Plaza also offers a comfy venue to enjoy morning coffee with a newspaper or an evening cocktail during sunset. This location in Monterey is a favorite for visitors, and walking along Canary Row to peruse shops, restaurants, wineries and to smile at the tribute sculpture to John Steinbeck, located in a small park enroute to the Monterey Bay Aquarium is invigorating. The history of this area is told beautifully at the Aquarium museum, and gives visitors a new understanding of the hard life the early residents of this area experienced as sailors and cannery workers. Shopping is just plain fun, from Indian costumes, to sips from local vintners and bites from renowned seafood haunts it�s exciting and it�s all good. 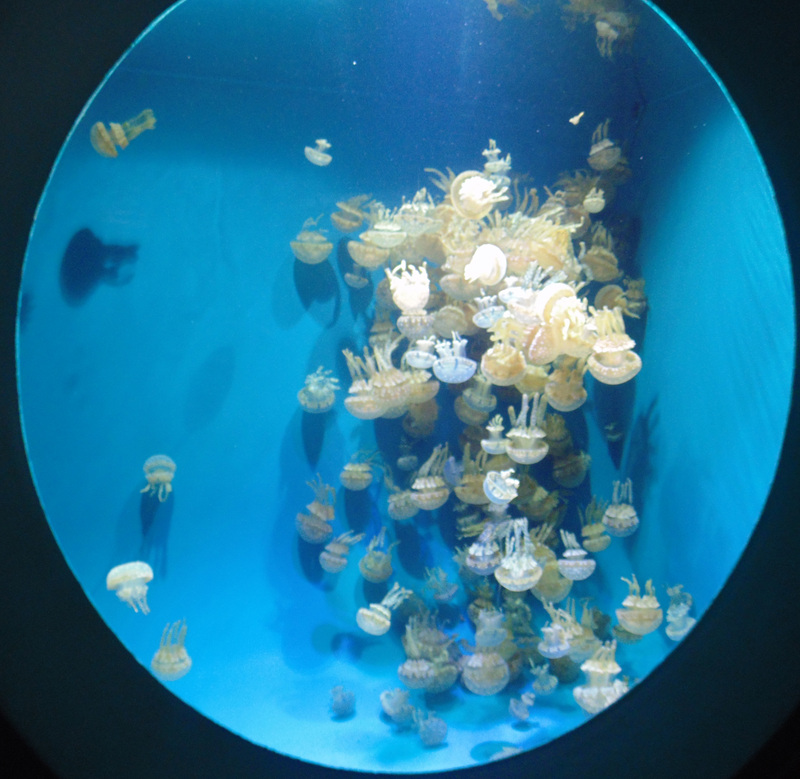 The Monterey Bay Aquarium takes visitors to a world of wonderment, and is offering special exhibitions �Tentacles� and �Jellies� that take you on a magical journey into the mystery of sea life. Feeding time for the otters always draws a huge crowd, and the otters seem to be born entertainers. The gift shop, which is filled with sea inspired items, offers souvenirs and clever gifts for adults and children. 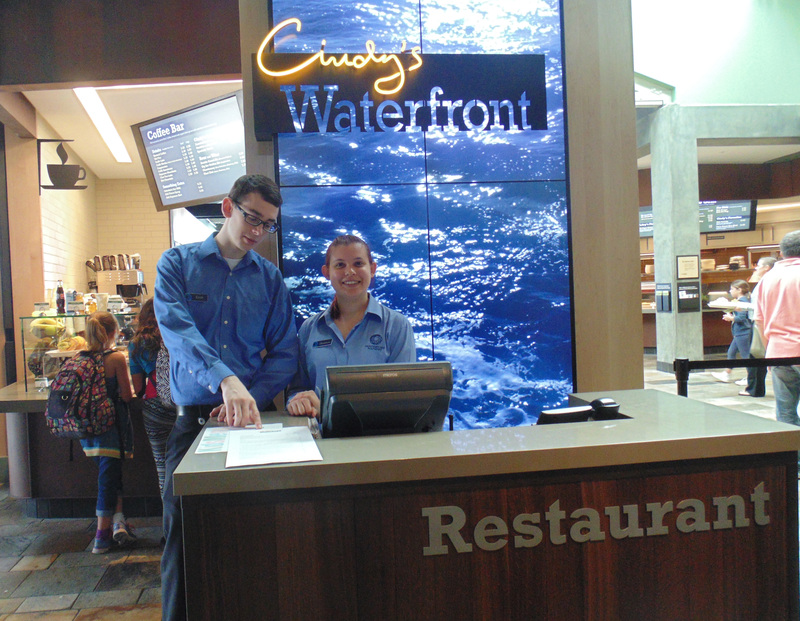 Monterey Bay Aquarium now has a fantastic cafeteria style restaurant where visitors can find a variety of delicious and affordable food and beverage choices. The grilled cheese sandwich with tomato soup is a childhood 'flash from the past' luncheon combination that�s wonderful. This new food service setup is far more family friendly than is has been in the past, however, they do still have a private dining room section for kid phobic visitors. 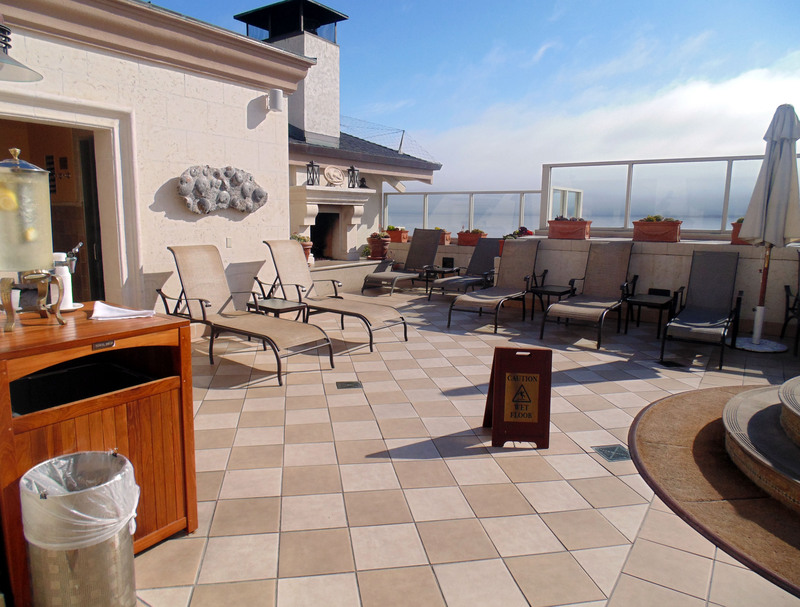 After a day of swimming with the fish or shopping til you drop the recommended escape hatch is the Monterey Plaza Spa, located on the hotel rooftop, where the Jacuzzi patio offers amazing views of the Monterey Bay, and guests can savor food and beverage items from the hotel menu. The spa has a full service gym with the latest in technological workouts offered, where guests watch TV to catch up on current news while keeping their bottoms in shape. 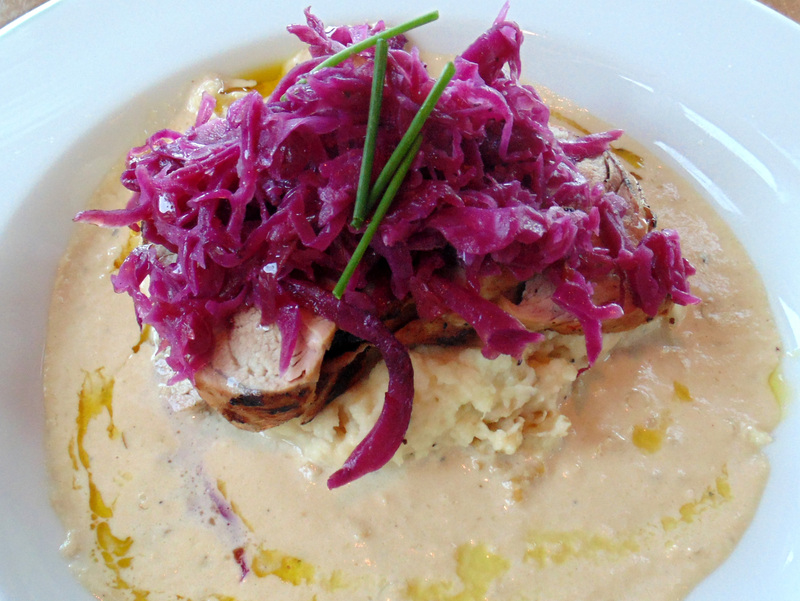 Schooners Coastal Kitchen Restaurant and Bar was once a rather formal venue, but has been reinvented as a neuvo nautical delight, with a �farm to fork � sea to table� mission. 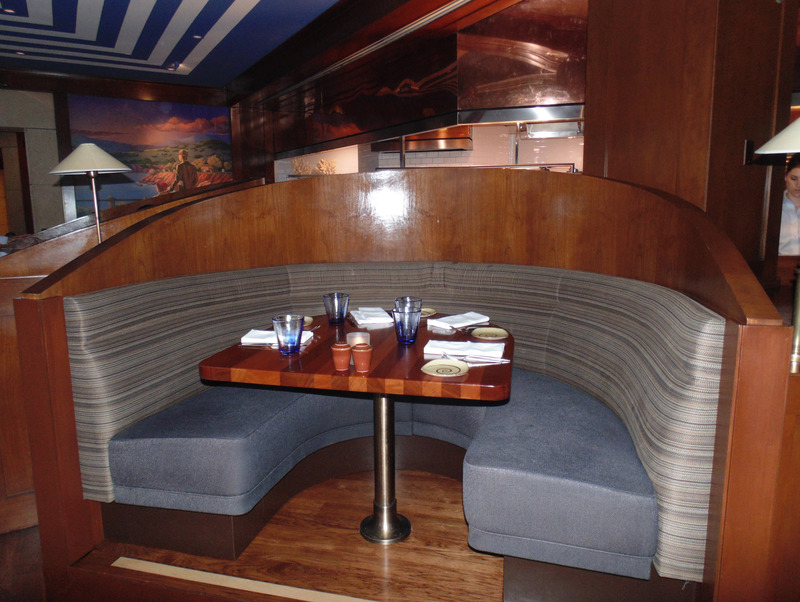 The room is modern, but chic and offers amazing ocean views with dinner to be enjoyed at tables or in cozy booths. 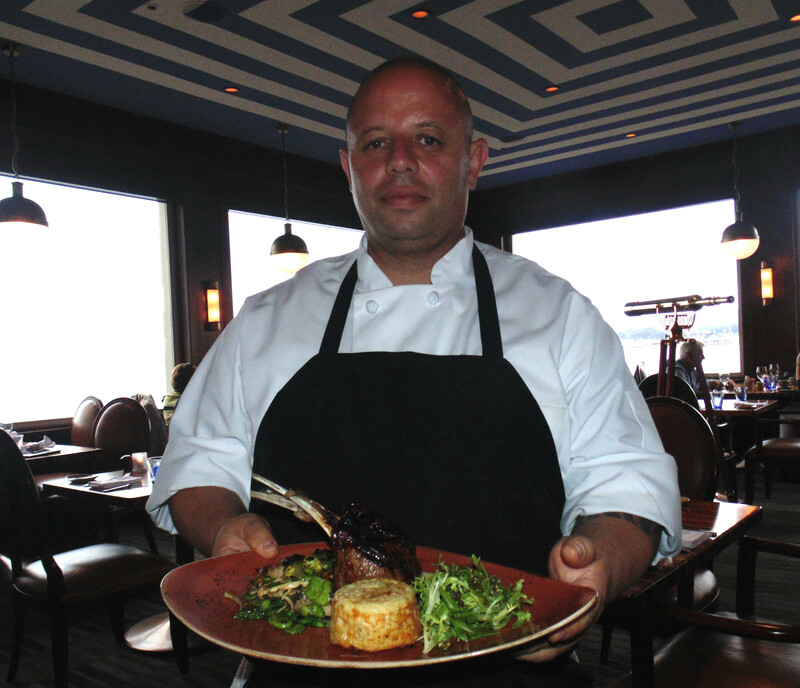 James Waller, hotel Executive Chef has a talented group who are designing and serving some innovative presentations of old favorites, and creative new dishes that deserve notice. The Chef du Cuisine Boris Ilabaca, who is of Irish and Basque decent creates a lamb dish with favas any guest would love, especially when preceded by the signature rich and creamy artichoke soup. 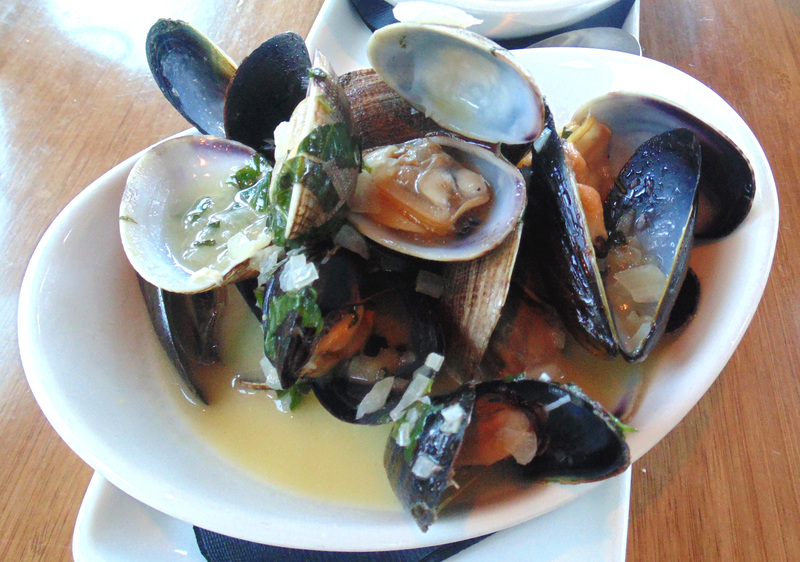 All seafood served in Schooners Coastal Kitchen & Bar is in agreement with the Seafood Watch Guide, a program the Monterey Bay Aquarium designed to raise consumer awareness about the importance of buying sustainable seafood. The old line steak and lobster dish of bygone days at the restaurant has been improvised into a dish for two that combines a filet & whole lobster stuffed with shrimp and scallops that is that is modern in presentation, and down to the last bite magical in preparation, but the before dinner cr�me de la cr�me delight is a raw seafood appetizer served on a frozen block of pink Indian salt that is without doubt one of the most uniquely delicious appetizers I have ever experienced. 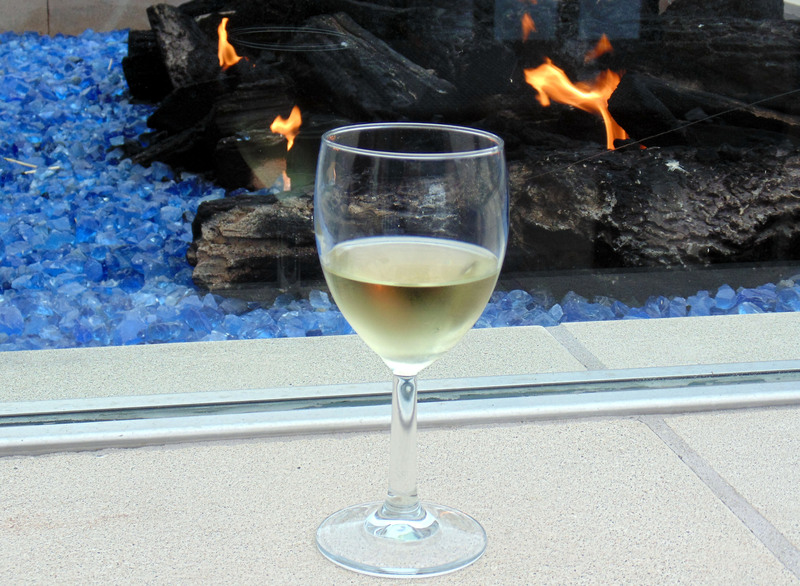 Fine Monterey County wines and imported wines are included on their menu. The SLH Pinot Noir, recommended by Diego Anea, the hotel Director of Food & Beverage, was a perfect pairing for our Schooners dinner selections. This venerable property has always been renowned for their decadent pastry creations, but the beautiful chocolate cake dessert, followed by two perfect chocolate covered strawberries is a unique fete accompli, and such a pleasurable ending. 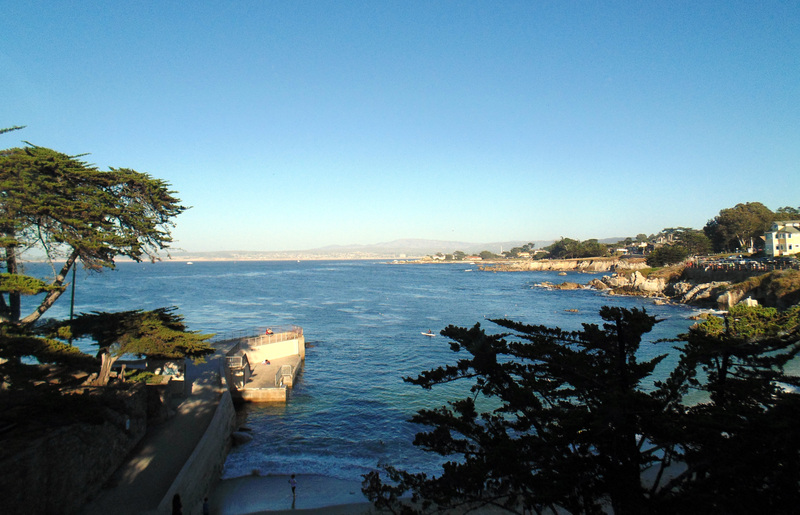 The rooms and suites at the Monterey Plaza Hotel & Spa are elegant, so comfortable and offer breathtaking ocean views. Every amenity desired is at your fingertips in this excellently run hotel. Vice President and General Manager John Narigi, along with his skilled staff provide optimum service to guests, while being warm and friendly at all times. Mr. Narigi, often invites guests to join his staff for wine & cheese tastings by the fireplace in the elegant Piano Lounge, where a bevy of wonderful cheese and local wines can be sampled, including Hahn and SLH local wines. For golfers there is transportation to nearby courses and special rates. Monterey is considered a number one golf destination in the world by many golf aficionados. For visits to the aquarium there is a free shuttle every twenty-minutes that picks up in front of the hotel. Getting around in the Monterey Peninsula area is easy, with maps and personal directions always available at the concierge desk. Enjoy! 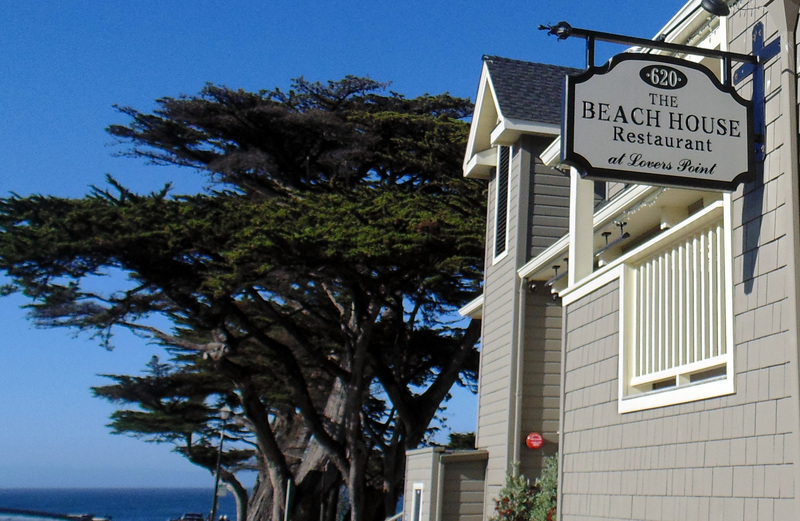 The Beach House is located above Lovers Point Beach in Pacific Grove, in one of those destinations they must photographic for post cards that people around the world associate with the pristine beauty of the California Coast. 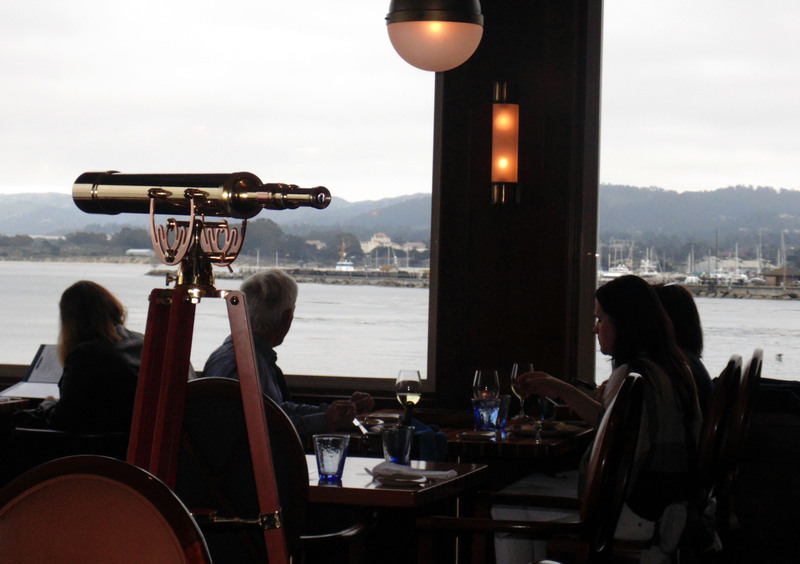 The Restaurant has a charming New England appeal, and the panoramic view of the Monterey Bay National Marine Sanctuary is a magnet for couples seeking a romantic evening out together. 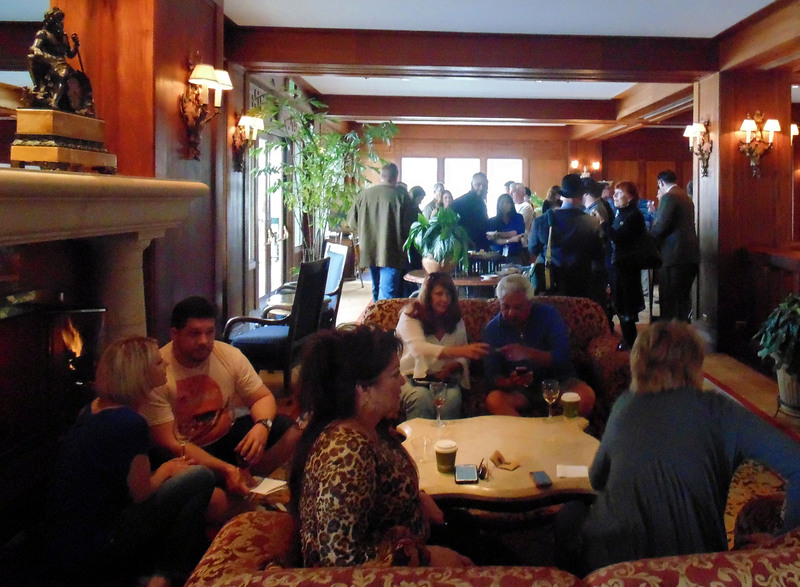 It is also happens to be where one of the most dynamic chef couples in creative cooking are holding court. Upon entering the Beach House, you will see a bevy of activity in the bar on your right, with a beehive of activity from the open kitchen to your left, and as you approach your window table in the dining room you will be stunned by the breathtaking ocean view that surrounds you. I am told you must have a reservation for restaurants sunset supper at 5:30 p.m. and be seated before 6:00 p.m. to partake of this special offering, and that was obvious by the hungry crowd waiting outside to savor the dinner and the sunset at the Beach House. Chefs Briana Sammut and Guilllaume D�Angio are the main attraction at this foodie fantastic venue, and have developed some renown as two of California�s most promising young chef�s. Briana grew up in Salinas Valley, where she attended Notre Dame High School, she began her culinary career working the line at the Monterey Plaza Hotel and Spa, and at 21 she attended the Culinary Institute of Americas in Hyde Park, where she worked with chefs from around the world and apprenticed with a Certified Master Chef. Following internships at Mario Batali�s Tarry Lodge in Greenwich, Connecticut and Jose Carce�s Tinto in Philadelphia she moved back to California where she was pastry chef at Crema, followed by a stint as sous chef at Il Vecchio in Pacific Grove. Chef Guillaume D�Angio was born in Marseille, France and like many outstanding chefs began cooking in his home at an early age. He attended Poitiers Culinary Academy for seven years and received his Master�s degree while working at the famed French restaurant Le Bacchus. He also was the pastry chef for five years at the renowned French hotel Chateau de Marcay. Guillaume trained with Alain Ducasse, one of the world�s most renowned French chefs who has earned over twenty Michelin stars. Following his arrival in the United States, Chef D�Angio helped open the French-style Provence Bakery in Prunedale with his older brother. Today the culinary dream team of Briana and Guillaume are making magic in the new Beach House at Lovers Point. 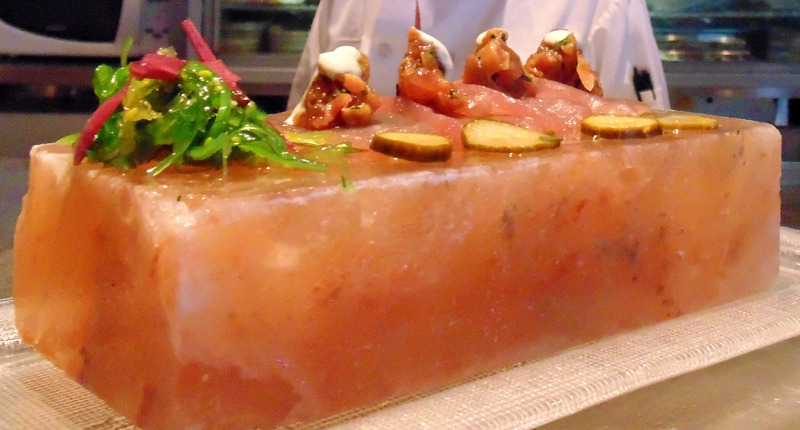 Their menu includes some original new recipes, and some unique innovations on old standards. The Beach House sunset supper menu is a myriad of delicious surprises that includes steamed clams with tarragon and butter that is a simple and delightful starter toenjoy with a chilled glass of white wine, and the flame-broiled pork tenderloin with braised red cabbage and apple, served with smashed Yukon gold potatoes and French hard cider sauce is most amazing, and a plate that would certainly in my opinion get a nod from Chef Joachim Splichal of Patina fame or Chef Daniel Boulud of Daniel New York. The talented Sammut and D�Angio culinary team participated in the recent Monterey Bay Aquarium Seafood Watch Guide annual gala culinary event, designed to raise consumer awareness regarding the importance of buying sustainable seafood. 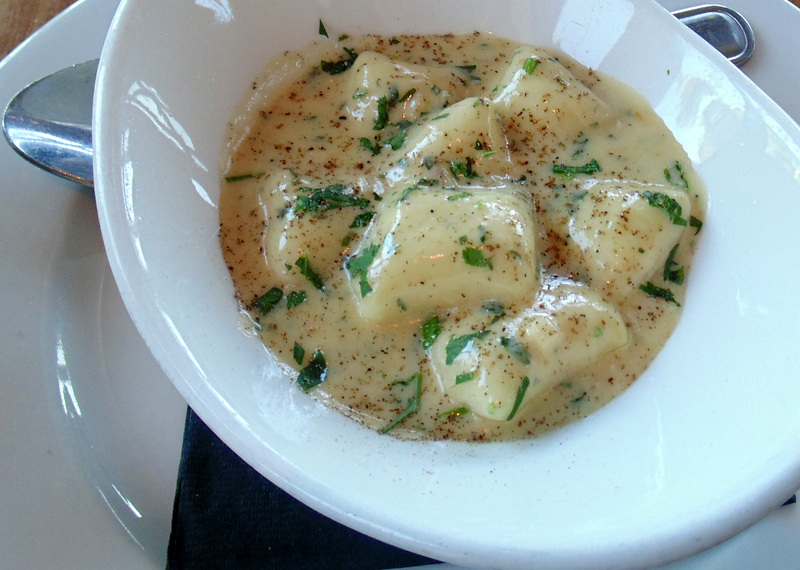 The grilled Sicilian sausage with buttered white beans, roasted grape tomatoes and fresh basil topped with breadcrumbs, or the imported black truffle gnocchi with black pepper cream are also signature chef creations, and so delicious. Naturally, the desserts served never disappoint with two skilled pastry experts in the kitchen. 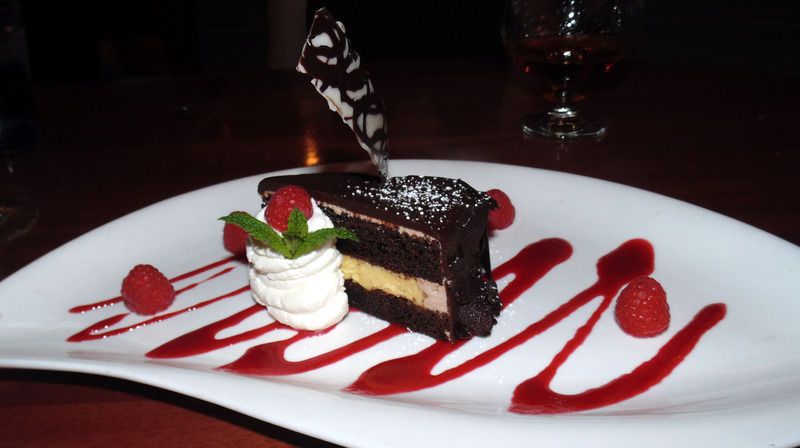 Each dessert clearly demonstrates their skill and imagination. I watched Chef Sammut putting the finishing touches on our memorable sweet ending. Following dinner there is a lovely pathway around the point where visitors may enjoy a relaxing stroll. This is such a special dining escape for lovers, or whole families, and is a location every American or visiting tourists deserves to experience. It�s America the beautiful at its best!